Flights from Pittsburgh to Las Vegas are popular with pleasure travelers. 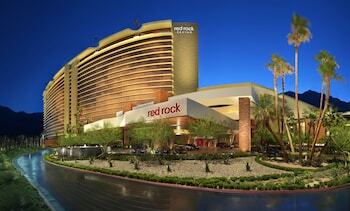 Las Vegas is renowned for its shopping malls, casinos and never-ending nightlife. 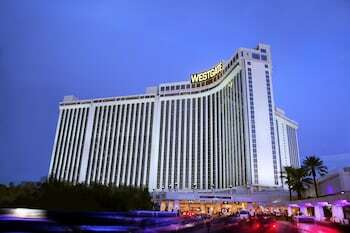 Finding great travel deals from Pittsburgh to Las Vegas is easy with the help of Orbitz.com. Pittsburgh, the second-largest city in Pennsylvania, is colloquially known as the "Steel City" for its history as a steel-manufacturing base. This huge city is served by Pittsburgh International Airport (PIT). The airport is located approximately 20 miles west of downtown Pittsburgh at Northern Terminus, off PA Turnpike 576 and Exit 53 of I-376. Southwest Airlines offers frequent flights from Pittsburgh to Las Vegas. Pittsburgh International Airport offers short-term, long-term and extended parking options. The short and long-term parking lots charge $1 for the first hour and $3 for each additional hour. The maximum daily rate in the short-term lot is $24, and the long-term lot has a maximum daily rate of $13. For travelers on longer trips, the $8 daily maximum in the extended parking offers significant savings. The West Busway offers transportation services to and from the airport at a standard rate of $2.60. Taxis charge approximately $40 from downtown Pittsburgh to the airport. For a fresh pizza, cheesecake or lasagna, visit Ben & Jerry's Ice Cream & Smoothies. Other restaurants found within the airport include McDonald's, Currito, Charley's Steakery, Mayorga Coffee Roasters, Nature's Kitchen and Subway. 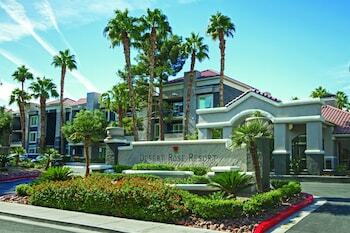 Las Vegas, the most populous city in the state of Nevada, is famous for its fine dining, shopping malls and casinos. 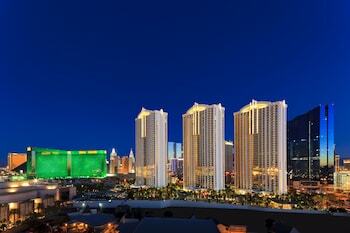 Otherwise known as "Sin City," Las Vegas has established itself as the entertainment capital of the world. Gambling in Las Vegas was legalized in 1931, which led to the massive investment in casinos. The McCarran International Airport is the main commercial airport serving Las Vegas. The airport is situated 5 miles south of the city's center. Taxis, buses and rental cars are popular means of travel from the airport. Taxis are the best means of transportation for people who are in a hurry to reach their destinations. A taxi will charge you approximately $11 to the south end of the Strip and $20 to downtown Las Vegas. 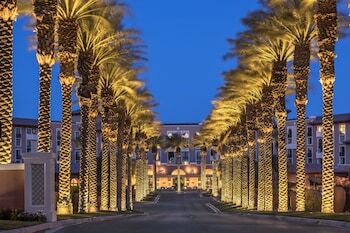 Las Vegas experiences a subtropical desert climate, with approximately 300 sunny days each year. The warmest month is July, with average daytime temperatures reaching 104 degrees Fahrenheit. January, the coldest month, experiences a mean low temperature of 37 degrees Fahrenheit and a high of 57 degrees Fahrenheit. February receives the highest rainfall, with an average precipitation of 0.7 inches. 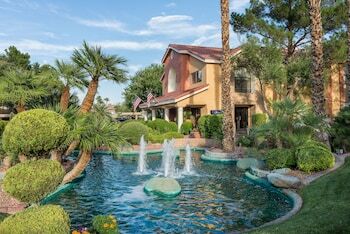 Though Las Vegas is famous for its casinos and shopping malls, you can also enjoy the amusement parks, spas and educational sites. The Red Rock Canyon National Conservation Area, which is located 15 miles from downtown, is popular for its hiking trails and colorful rock formations. Other sites you should visit include the Bellagio Fountains, the Chapel of the Flowers and the Conservatory & Botanical Gardens at Bellagio. 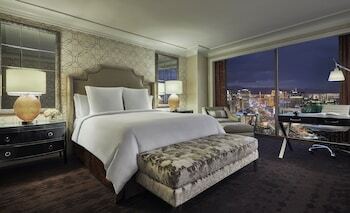 There is never a bad time to go to Las Vegas, as the city is lively year-round. However, spring and fall offer comfortable climatic conditions. With so many activities to engage in Las Vegas, it is no wonder many people visit the city all year.. Searching for the right travel deals from Pittsburgh to Las Vegas is easy with the help of Orbitz.com.